toolbar from appearing every now and then. 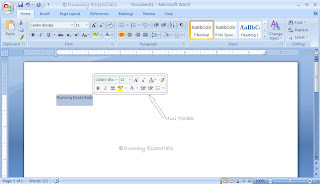 facilitates instant formatting without clicking anywhere else after selecting some text in your content. really a pain to see a mini toolbar. when you right click any text. side and click OK. Thatâ€™s it!